Eguchi Holdings Group announces the establishment of new EPC subsidiary in Japan. Nagoya, Aichi ― Eguchi Holdings Group today announced the establishment of the new wholly-owned Solar PV construction subsidiary on 3rd Apr 2017, which will be in charge of Solar PV construction functions in the Eguchi Holdings Group. The new Solar PV construction subsidiary, named “EGC Co., Ltd.” will acquire the solar PV construction unit from the another group subsidiary, “Eguchi Steels Co., Ltd”. Eguchi Steels Co., Ltd will retain their steel reinforcement construction business. 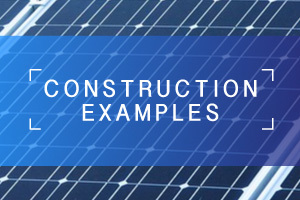 Solar PV construction unit has been concentrated in the construction business locally and globally. In order to respond to the rapid globalization of recent years, we have decided to establish its unit as a subsidiary.